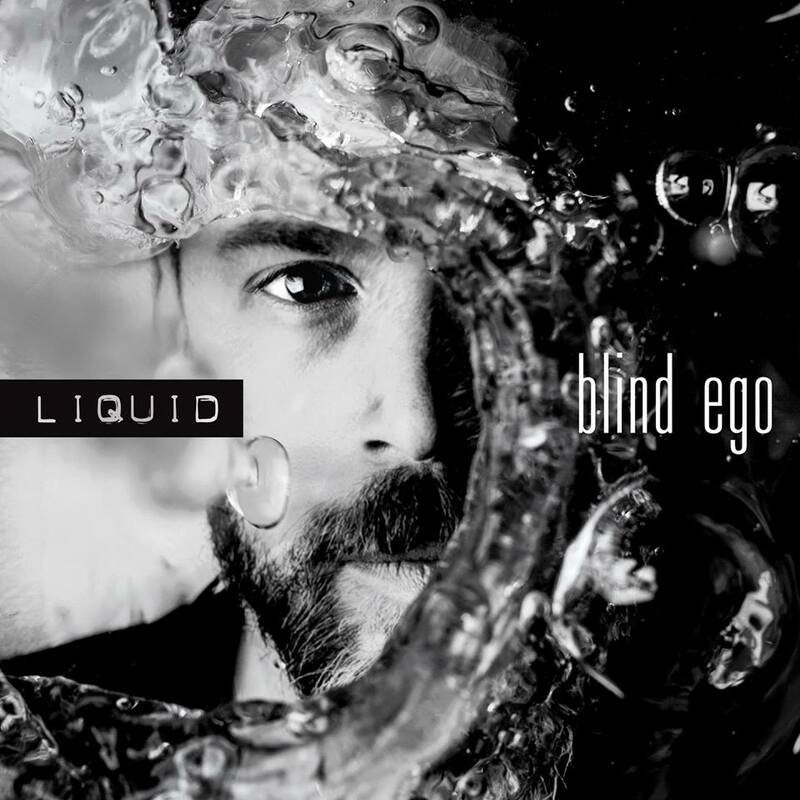 I first came across Blind Ego courtesy of having originally discovered the delights of ‘World Through My Eyes (2005)’ by German based band RPWL. 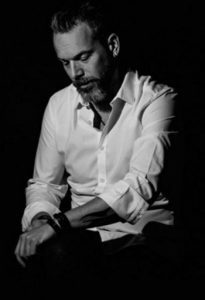 In the process of discovering more about them it emerged that lead guitarist Kalle Wallner was also running a solo project by the name of Blind Ego who, by pure coincidence, had just released a second album entitled ‘Numb (2007)’. My interest was piqued by the superb musicians he had assembled to play with him. Paul Wrightson (ex Arena, replacing John Mitchell who sang on the first album), John Jowitt (ex IQ and Arena), Michael Schwager (ex Dreamscape) and Yogi Lang (fellow RPWL band member), with guest appearances by Sebastian Harnack (Sylvan) and Iggor Cavalera (Sepultura, Mix Hell). Listening to ‘Numb’ was – and whenever I play it, still is – a happy revelation. Honest, fresh, atmospheric, it is full of punch and packed with energy and inventiveness. There is a steely drive and an exciting raw emotional power which resonates at all levels across the album. The intensity and the ever shifting flow of our emotions becomes the elemental force which powers and gives meaning to the music. Wallner believes ‘Numb’ is all about the intensity of emotions, “snapshots of extreme feelings flooding one’s consciousness for a short time, siegeing the mind and letting nothing else reside next to them.” He emphasises this by using only one word for the title of each track: Lost, Guilt, Numb, Leave, Death, Change, Seek, Risk, Torn, Vow, Change. The music perfectly mirrors and captures this rollercoaster of emotions through solid rock-style drumming, crunching power riffing, all interspersed with acoustic arrangements and melodic solos which captivate and surprise. It has been a long seven years since then and I’ll confess that news of a third studio album from the Blind Ego stable certainly put me in a state of agitated excitement. Wallner’s choice to lead with another single word title, ‘Liquid’, certainly seems to signal a clear intention to carry on where the previous album left off. The musicians he has gathered around him this time are equally impressive. 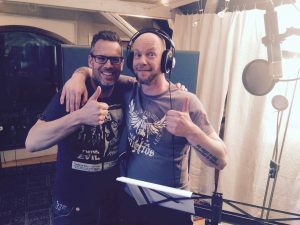 Vocals are shared between Arno Menses (Subsignal), Erik Ez Blomkvist (Seven Thorns) and Aaron Brooks (Simeone Soul Charger), whilst the always impressive Sebastian Harnack (Sylvan) returns alongside appearances from Heiko Jung (Panzerballett) and Ralf Schwager (Subsignal) on bass. It is also wonderful to see the inimitable Michael Schwager remaining behind the drum kit for this third instalment. ‘Liquid’ is an album of profoundly stark and unexpected contrasts – lyrically, emotionally and musically. 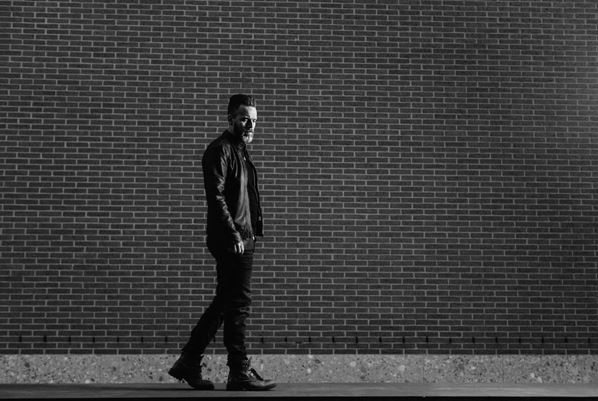 Where ‘Numb’ has a relentless and intensely focused momentum, ‘Liquid’ to some extent takes its foot off the pedal, gives itself some time to breathe, and offers a more varied, versatile and challenging range of music with which to grapple. There is a greater sense of maturity about this release, a more reflective and contemplative approach to the song writing which takes the edge off the direct rawness which characterised ‘Numb’ and in the process, opens wider possibilities for emotive expression in and through the music. The passion, the intensity and the focus are all still present in abundance. But there is now a more deliberate and even meditative quality coming through. When passion is spent and the rage of emotion has run its course, reason quietly returns and adds its voice once more. Indeed, this is often how the album feels; torrents of sharp, powerful, aggressive passages are followed by calmer, soothing almost heightened moments of tranquility and clarity, the instrumental ferocity dialed right back to leave an airy, almost passive, healing aftermath. Kallner’s guitar work is blisteringly brilliant. Listening to the sheer precision of his playing, the eagerness and constrained passion he exudes and the forcefulness of his attack when he abandons controlled discipline and lets his virtuosity soar in some jaw dropping solo work belies the impression that this is something deeply personal. You get the feeling that he is working things through, maybe in his own mind, and riding the ebb and flow of shifting, troubled emotions as he goes along. Some people are good at expressing themselves through words; he lets his guitar do his thinking out loud. To this extent, ‘Liquid’ becomes a fascinating insight into the turbulent thoughts and emotions which are swirling throughout the album, sometimes expressed in symphonic eddy’s churning just below the surface, at others gushing in anthemic, foot-stomping torrents before cascading into serene, harmonic waters. There is a natural momentum which carries you along from track to track and into the seamless, almost intuitive transitions between moods, thoughts and feelings. Not everything on this album works. Just as you can become lost in your thoughts, so there are times when the music feels as if it has lost a little of its direction and focus. Some of the ideas don’t quite work as I suspect they were intended, upheavals in rhythmic timing perhaps too hasty and maybe one or two of the hooks not quite transiting to where the music wants to lead us. But then, thoughts are never complete, feelings are always on the way to somewhere else and the exuberance, fervour and excitement of the music is more than enough to carry us through the choppy waters to the next part of the river. Wallner believes that ‘Liquid’ “completes a comprehensive artistic process that saw its beginnings years ago”. This new release certainly brings significant developments and unexpected progressions to the Blind Ego project. My sincere hope, however, is that rather than reaching the end and completing the journey, there are more bends yet to come in this particular musical river.